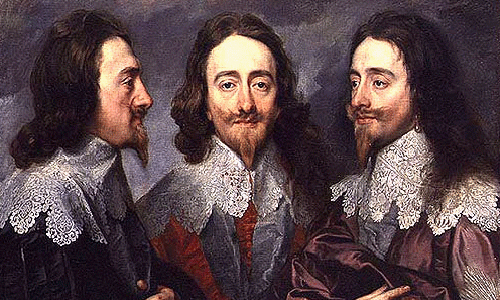 Van Dyck's triptych of Charles I. History at A-Level is becoming increasingly popular. 51,652* students sat for an A-Level examination in the subject in the summer of 2012, a rise of 10% over the past five years. Each UK examining centre chooses the syllabus it wishes to follow from one of the seven exam boards, and most specifications offer the chance to study at least some aspects of 17th century history. Struan: How do your students generally take to studying the English Civil War/17th century at A-Level compared to other periods? Stephen: It really depends on the cohort. Some students take to it more eagerly than others and relish the challenge of studying something entirely different. They will have studied the Tudors in Year 8, but we don’t usually do a great focus on the Stuarts at that stage. I think some students initially find it challenging because in Year 12 they study a more familiar time period, ie the 20th century. They focus on Stalin’s Russia, American Civil Rights Movement and the Women’s Suffragette Movement; the latter is of course particularly pertinent to a girls’ school. They can therefore perhaps relate more to the context of those topics and of course there is a wealth of digital material available. The 17th century does seem more remote to them and studying it in Year 13 requires them to cover much more challenging content and consider historiography more readily. However, I would say once they become more familiar with the key themes of power struggle, religion and finance, in many cases they do come to enjoy it immensely. Struan: Which exam syllabus do you follow? Stephen: Edexcel. Our topic is Option A, Topic A2: Revolution, Republic and Restoration: England 1629-67. Struan: Were there any particular reasons why you chose this over the others available? Stephen: Last time there was an overhaul of the A-Level syllabuses in 2008 we considered the choices available from the three main exam boards. We had previously used Edexcel and found they matched up with many of the topics that we had previously taught, such as American Civil Rights. The 17th century was a completely new choice but something that my Head of Department and I were keen to develop. I studied the period myself, though with a greater emphasis on the later Stuarts, during my final year at Leeds University. Struan: Which books do you recommend to students at the start of the course? Stephen: We issue all students with Angela Anderson’s An Introduction To Stuart Britain, 1603-1714, as their main text for the year. We also provide them with a reading list which includes everything from the more A-Level-friendly Access To History series on the period to works by the great authorities on the period, including Barry Coward, John Morrill, Conrad Russell and Christopher Hill to name a few. All of the books on their reading list can be found in our Sixth Form Library. We always tell the students that they should dip into at least some of these to support their own independent learning beyond what they are issued in class. Whether they are all committed enough to their studies to do this is a different matter, though you can certainly tell from reading essays which students have completed wider reading of the topics. Struan: Are there particular topics they particularly take to or find more interesting than others? Stephen: It’s usually the most dramatic events or the most intriguing or notorious characters that inspire the greatest interest. We cover the period 1629-1667 as the main focus, so the harsh punishments of Charles I’s religious and political opponents – such as Burton, Bastwick and Prynne, who have their ears cropped, cheeks burned and are branded Seditious Libellers – tends to fire the imagination! Also the events leading to war and the King’s trial and execution are among other favourite topics. The first year I taught the topic, one of my students was fascinated by the cartoon from 1647 of The World Turned Upside Down. Students always enjoy tales about Charles II too, from hiding in the oak tree after Worcester, to his triumphant return in 1660 and string of mistresses. It’s a pity we don’t get to look at his reign in detail past 1667. 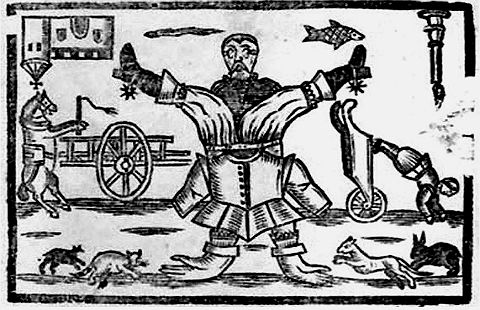 The frontispiece from the 17th century pamphlet The World Turned Upside Down. Struan: Which aspects do they find more challenging? Stephen: Definitely the Interregnum period as a whole presents the greatest challenge, and within that the Cromwellian Protectorate is the most challenging aspect. I guess this is partly because it comes after the great drama of the King’s execution, and also that we tend to teach this era directly after the January modules period. I think they find Rump and Barebones Parliaments hard because there are so many strands to piece together from the rebellions in Ireland and Scotland – the more exciting bits – to the more mundane matters of the running of government. The Protectorate controversy also presents problems because it’s not as clear cut in terms of the historiography as their earlier controversy on 'Sidetaking' in the English Civil War. Also it is admittedly the dullest part of the period thanks to the Puritanical bans on pretty much everything. They do get some amusement from the James Naylor case in Bristol, who proclaims to be the second coming of Christ and parades naked through the streets on a donkey. Struan: It's a period, admittedly, I've always taken a lesser interest in myself. Are there any texts which you find particularly useful for teaching it? Stephen: I am yet to find a definitive text which covers the Protectorate period effectively. We always use the sources from the past Edexcel exam papers as stimulus for discussion, plus some sources from an old textbook produced, I think, by Cambridge University. One of my students last year recommended Barry Coward's lecture on the controversy of whether Oliver Cromwell can be considered a "military dictator." It is available as a downloadable audio podcast. Any recommendations gratefully received! Struan: What else - eg digital resources - do you use to support your teaching? Stephen: My Head of Department and I devised a set of handouts between us covering the whole syllabus in advance of teaching this unit for the first time a few years ago, and this provides the best source of information for the students. 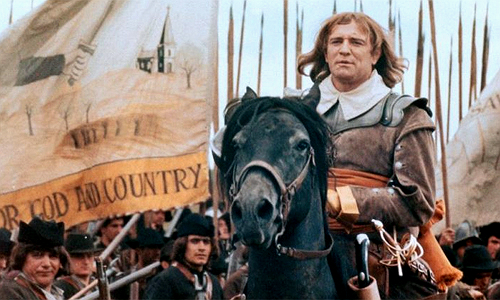 In addition we do try to use media available on the period where possible, for example parts of Tristram Hunt’s BBC series for the Open University and parts of the film Cromwell can be useful to support studies. I have also developed the History department’s own Twitter account - @centralhistory – over the past year to point students in the direction of additional digital resources such as images, articles, YouTube clips and other resources. I encourage them to tweet any questions or anything interesting that they come across on the topic. I also often link my tweets to events as they have occurred on that particular day in history, so for example today (7 October, at the time of writing) is the anniversary of the birth of Archbishop William Laud. Struan: Does your school arrange any other activities to support the course (eg trips, guest speakers)? Stephen: Last year we arranged a trip to the Central Library in Newcastle to have a special viewing of a collection of primary sources related to the period. This was particularly interesting because Charles I was held prisoner in the city in 1646 after he had been defeated by the Parliamentarians in the First Civil War. We also pay an annual visit to the Tyne & Wear Archives Office, which includes the study of some sources from the period. We have arranged several activities with guest speakers in the past few years for other topics, such as an American Civil Rights activist. However, we are yet to invite a specialist from the period into school. With the advent of the Twitter account, I have personally been able to contact others who are either specialised or have an enthusiasm for this period. Struan: It's always interesting to ask people today whether they would be Royalist or Parliamentarian supporters. Do you ask your pupils? If so, does their allegiance change over time? Stephen: This can be a very interesting question and I have sometimes discussed this with my students. A couple of years ago I had a very intriguing situation where one student had Irish heritage, so was quite anti-Cromwell. In the same class, one student held quite socialist views, so was very anti-monarchist and pro-radicals (Levellers, Diggers etc). I guess that it is a tricky question because the position of things like monarchy and religion was very different in that era compared to now. Struan: In your opinion does the assessment format give the students a fair chance to demonstrate their understanding of the period? Stephen: I think the traditional essay format provides a good opportunity for students to showcase their understanding, as long as the questions set invite a good opportunity for debate. Occasionally questions can have too narrow a focus to give them the opportunity to show off their skills fully. I am personally less keen on the source-based essay, because the style of answer can become quite formulaic and almost a tick-box exercise. I prefer the 'Sidetaking' controversy from the topic that we study to the Protectorate, as it does at least link to wider issues that have clearly been challenged by successive generations of Whig, Marxist and Revisionist historians. Struan: Can you say that any of your students been inspired to study history at university after learning about the English Civil War? Stephen: History is a popular choice at my school at A-Level and we do usually have a few students applying to read history at university each year, including one at Cambridge from last year’s cohort. I would like to think that this topic is among the factors that inspire students to take the subject further. I certainly always impress on students how important this era is in the context of our country’s history. Struan: How challenging do you find teaching the conflict compared to other periods? Stephen: In many respects it probably is the most challenging topic that I teach, because as already stated it requires the most content and is a lot more remote as a period to the 20th century topics that we cover in Year 12. Despite this I really enjoy teaching the period and am always looking for new and innovative ways to enhance what I teach. Twitter has certainly been one means of achieving this and having been inspired by the @rexfactorpod guys, I do hope to get my students to record a podcast of an aspect of the period sometime this year. My Head Of Department and I certainly feel much more confident in our understanding of the topic now that we are delivering it for the fourth time. Struan: How have your own interests in the 17th century developed in the course of teaching the A-Level programme? Stephen: I have definitely become much more interested in this time period since we started teaching the topic in 2009. I certainly had enjoyed studying the Stuarts for my special subject at university in 2001-2, but it wasn’t an area that I had particularly focused much attention on the intervening years. I do now find myself watching and recording any kind of documentary with a slight link to the period, including David Dimbleby’s excellent series on The Seven Ages Of Britain and Alexander Armstrong’s Who Do You Think You Are? 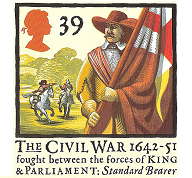 (his ancestor was pivotal in establishing links between Charles I and the Irish Army prior to the Battle of Naseby). Since starting the @centralhistory Twitter account, I have mined YouTube, Google, BBC etc for interesting, unusual and downright bizarre stuff about the period. I really can’t understand why there aren’t more films or dramas about the era, especially when compared to the wealth of material on the Tudors. Struan: Yes, it does seem strange. One thing I put it down to the lack of an obvious enemy - it's easier to write a plot-driven saga if you don't have to bother explain the good and bad points of enemy characters (something which needs more airtime to develop). There's more than enough scope for writing a decent character-driven series, which I don't think has been done since By the Sword Divided in the 1980s. Channel 4's The Devil's Whore had a go but fell between these two stools, I think. Stephen: Yes, I agree that the situation is a bit more complex than hero versus villain. Cromwell himself for example has been interpreted in so many different ways, from the Butcher of the Irish to the Father of Modern Democracy. I thought that The Devil's Whore did have its merits, not least in a cast that included John Simm and Peter Capaldi, but it didn't really get enough behind the main characters of the story. Many thanks to Stephen for taking time out for the Q&A. Stephen and his History department can be followed on Twitter @centralhistory.